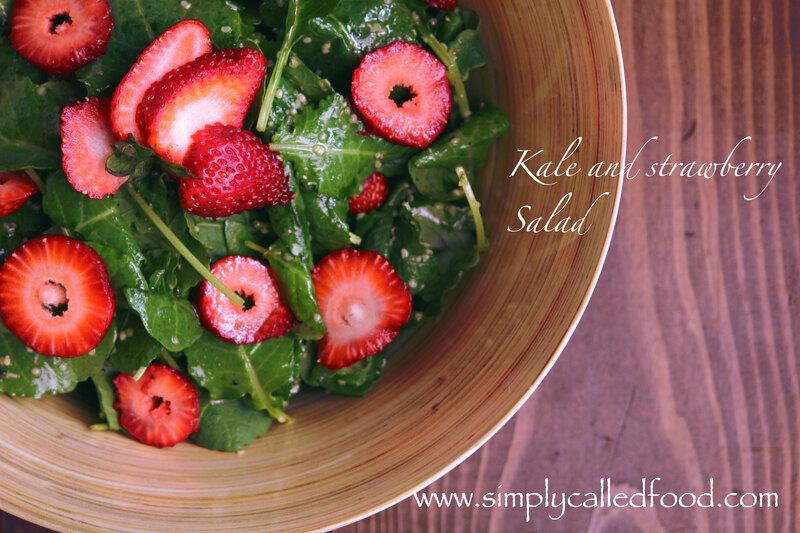 Kale and strawberry salad | Simply called "Food"
Maybe it’s the first rays of sun that we haven’t had for the past week, but it starts to smell spring! Not very warm for a month of May, but…. 🙂 like I say “If spring doesn’t come to me, I go meet him!” And what is more estival than a salad. I decided to do it with kale because so many people are still afraid of that great veggie. I recently came across baby kale, sold pre washed. What a great way to tame this leaf. 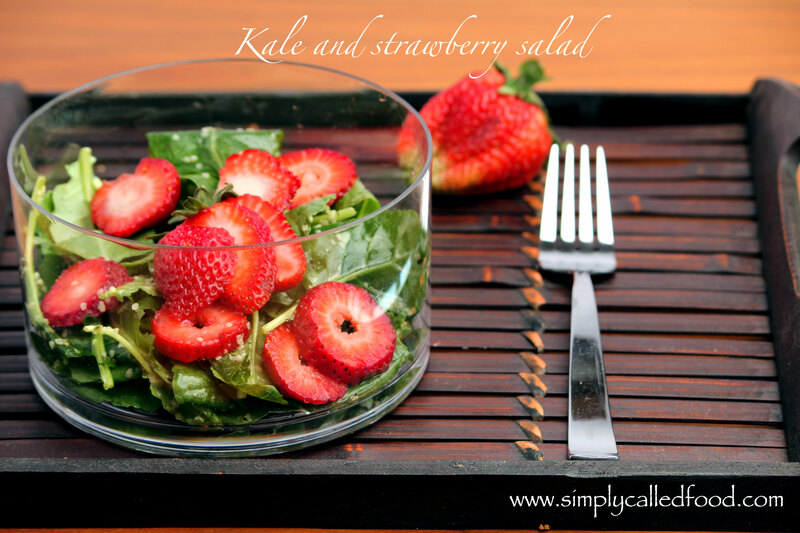 Strawberries are still not in season for us, but I find it is a great combination with the kale. A little tip to reduce the amount of dressing, you put in your salad. Let your salad absorb it for a few minutes before serving. We tend to put a lot more than we actually need. In your salad bowl, whisk all the ingredients for the dressing until you get a smooth texture. Add in your kale, the strawberries and the hemp seeds. Toss it to mix it well and set aside for 5 minutes. Tags: Food, Fruit and Vegetable, Gluten free, Hemp, Kale, Maple syrup, Raw, Recipe, Seeds, Vegan, Vegetarian. Bookmark the permalink. I find it is very good to add fruits to a salad, and it helps kids do adopt lettuces that have a stronger taste, like arugula and apples is also a great combination! Have a nice day! This is one of my favorite summer salads. I’ve never tried it with kale before, but that sounds delicious! I’ve made this before with a homemade raspberry vinaigrette which is also quite good! Berries an kale is really a winner in my family! With raspberries, it must be amazing! Thanks! We had so much kale this summer! I really love it!